Aug. 3, 2017 4:30 p.m.
It’s a full and furry house over at TinyKittens headquarters in Langley, where volunteers have taken in 14 feral kittens from an evacuated area near Quesnel. Mountainview Veterinary Hospital Dr. Renee Ferguson spent Wednesday evening examining the 14 felines. “She brought her ultrasound, and we were thrilled to discover none of the females are pregnant. She also did exams and vaccinated everyone,” said TinyKittens founder Shelly Roche. They now have 18 feral kittens (a few of them are young cats) from two different evacuated regions of B.C. in their care, plus six feral orphaned kittens from Langley, as well as ‘Grandpa Mason,’ an old feral male cat that has taken on a motherly role toward all the kittens. He has become quite famous on TinyKittens live cam that has hundreds of thousands of followers from around the world. “They’ve all had a pretty stressful couple of days, but we can already see how sweet these cats are,” said Roche. One feral tomcat, now named Elliot, that arrived from the evacuated area has taken on the unusual role of mothering the kittens, which the babies are taking great comfort in. An elderly woman had been caring for a colony of feral kittens in the Interior as best she could, said Roche. 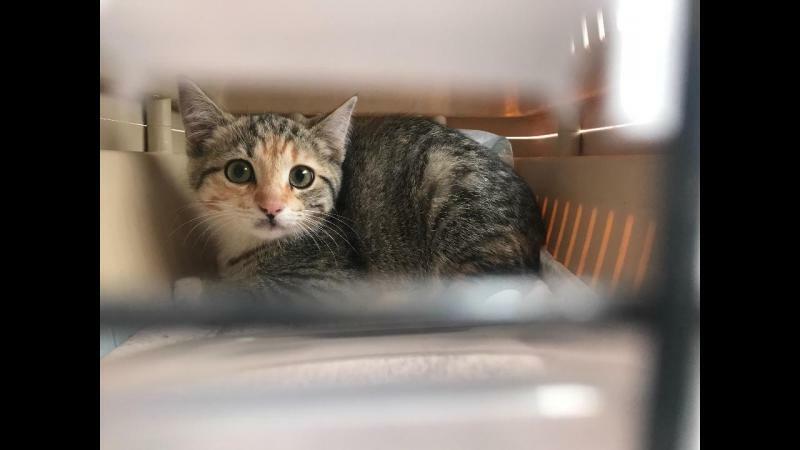 When she had to flee her home, she called Pet Safe Coalition, and they contacted a volunteer who went out and trapped all 14 cats from the colony. They will provide medical care, spay/neuter, socialize and adopt the cats into loving homes. TinyKittens volunteers have decided to name the new arrivals in the theme of the wildfire crisis from where they came from. One is named Cariboo, another Raven, another Ellie after Elephant Hill and Cache, Riske and Milo (after the Mile Houses fires). Go to their Facebook page to see a full listing and further pictures. As with all TinyKittens, you can watch the evacuated kittens frolic and be cared for on the TinyKittens live cam. If you would like to contribute to their care, go to tinykittens.com or their Facebook page.